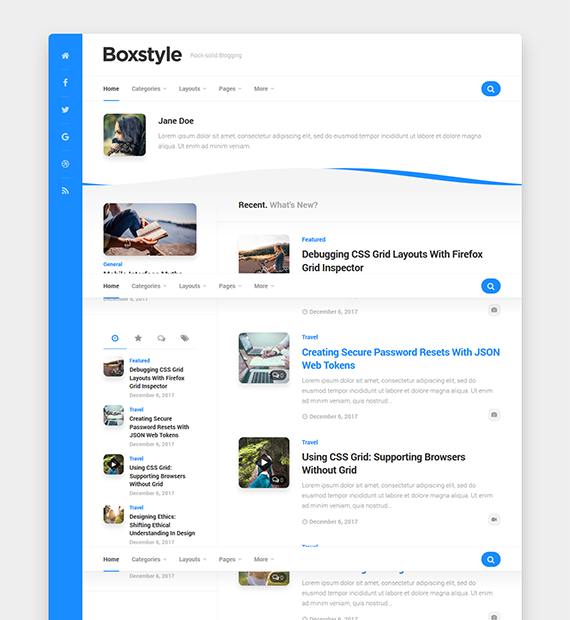 Boxstyle is a free WordPress theme that is guaranteed to give your personal blog a unique look to make it stand out. Loaded with features including unlimited accent colors, unlimited widget areas, social links, custom widgets, localization support, five post formats, and more, this theme is more than worth it. Not only is it ultra responsive and retina ready, Boxstyle was also designed for good SEO. Furthermore, it also features great customization options that works with the WordPress live customizer.